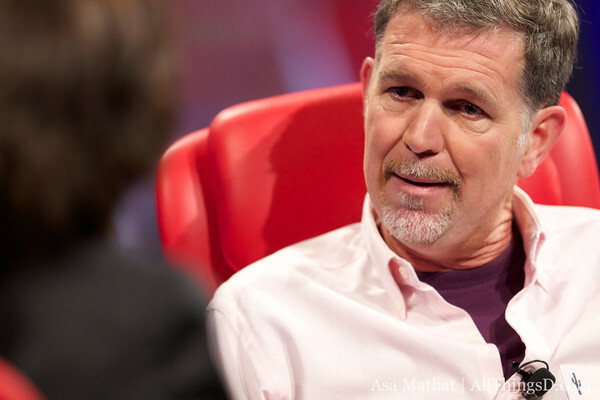 Yesterday, Reed Hastings saw a quarter of his company’s stock value disappear. Today’s insult to injury: A dis from Consumer Reports. A new survey from the magazine places the Netflix streaming service sixth in user satisfaction, behind, well, just about everybody: Walmart’s Vudu, Apple’s iTunes, Amazon’s Instant and Prime offerings, and Hulu. The big ding against Netflix: It doesn’t have a selection of stuff people want to see. Anyone who follows digital video will see the obvious asterisk that should come with the ranking: It compares apples and oranges. Netflix is a subscription video-on-demand service, which means it gets a much smaller selection of titles (particularly movies), than a la carte rental services like Vudu and iTunes. It’s like complaining that the Endless Shrimp special at Red Lobster doesn’t include snow crab legs. Different things, different economics, different prices. But most people don’t follow digital video — they just want to watch stuff. And carping about selection is not a new critique — it’s the one you hear anecdotally from lots of people who use or have used Netflix (kids are a different story). Hastings could rectify this, at a minimum, by adding a la carte rentals in addition to his subscription offerings. But he’s remained ardently opposed to the idea, for whatever reason. Near-term, this won’t be as problematic for Hastings as the disappointing growth guidance he offered up Tuesday afternoon, which led to yesterday’s stock dive. And I personally stopped taking Consumer Reports that seriously in March, when they warned that the new iPad could kinda maybe get not exactly hot but sort of tepid. But for lots of people, Consumer Reports is still Consumer Reports, and their word — or at least word of their word — carries lots of weight. Small consolation prize for Netflix: Consumer Reports thinks the company’s original DVD-by-mail business — the “old fogey discs” business, in Hastings’s words — is the best disc rental service. But that’s the business Hastings has decided to let fall away.